With plenty of moving services, Meathead Movers is fully prepared to make Calimesa your new home. Our clean-cut student athlete movers are dedicated to fulfilling all your moving needs efficiently. With backyard views of the San Bernardino National Forest, Calimesa offers beautiful scenery and exciting adventures for outdoor enthusiasts. From biking and camping to horseback riding and hiking, you can make every day a vacation all within 50 miles of your home. Calimesa lies just to the west of Moreno Valley and Redlands; in fact, it’s only an 11-minute drive into Redlands if you want to experience its nightlife. Calimesa only takes up about 15 square miles of land area in Riverside County, and it shares a school district with Yucaipa, a small city just to the north. With a population just over 8,000, Calimesa offers a quiet place to settle down, raise a family, and enjoy the Southern California landscape. The I-10 runs straight through Calimesa and makes it easy to get to Redlands or San Bernardino for work or play in no time. If you enjoy the outdoors, Calimesa has alot to offer. With Wildwood Canyon State Park to the east, you can go for a hike and take in the vibrant scenery. Just south of downtown, the Calimesa Country Club gives you a place to golf and enjoy the afternoon sun. You can also take Interstate 10 down into Beaumont and play a round of golf at either the Oak Valley Golf Club or the Morongo Golf Club at Tukwet Canyon. When you are moving to Calimesa, choose Meathead Movers to handle the job. Our Calimesa movers team can work quickly and carefully to get you moved and settled in your new home. Our moving company specializes in local, long-distance, and commercial moves to, from, and within Emeryville. We also provide reliable packing, storage, on-site relocations, and our distinctive moving concierge service. Choose Meathead Movers for the quickest and most reliable way to move to Calimesa. Our Calimesa movers team consists of student-athletes who graduated from Meathead University and adhere to our strict drug-free, smoke-free policy. We stay active in the community, rank No. 1 in every market we serve, and offer services such as Princess Packers, a team of professionally trained college students who carefully pack your items for you. 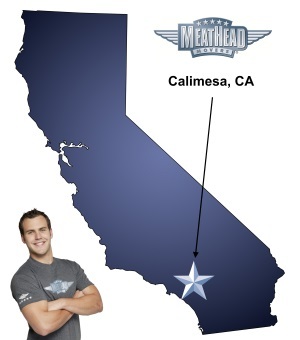 When you’re moving to Calimesa, check out how Meathead makes the move better. With our 100% satisfaction guarantee, the only thing you have to lose is the stress that comes from moving! So contact us today for a free no-obligation moving quote and to learn how we can help you on your next move! Moving to Calimesa? Here are some helpful resources. Fast,careful,Flexible They put on the Hustle! The guys were extremely professional and friendly! They did a great job. The experience was wonderful from set up to finish.